Shyness has been well established as a hindrance to social adjustment and may be problematic for emerging adults attending university, given the high social expectations placed upon students. 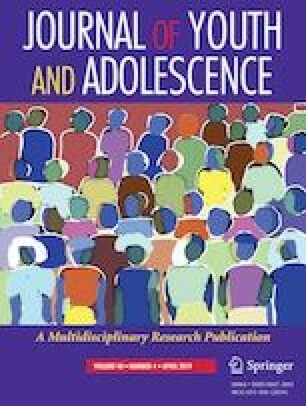 Previous studies suggest emerging adults high in shyness recruit their friends to act as social surrogates in order to help reduce the stress of entering social interactions; yet, whether other less studied forms of social withdrawal (i.e., avoidance, unsociability) are associated with social surrogacy remains uninvestigated. The goal of the present study was to examine differences between subtypes of withdrawal as related to social surrogacy, while considering the roles of social anxiety and social self-efficacy. Participants were 961 emerging adults (76% female; 67% Caucasian) between the ages of 18 and 25 (M = 20.15, SD = 1.71). The results indicated that patterns of social surrogacy varied between withdrawal subtypes, such that social surrogacy was positively related to shyness, and negatively related to unsociability, whereas avoidance yielded mixed results. The findings highlight the importance of considering withdrawal motivations in understanding social surrogacy. LC conceived of the study, participated in its design and coordination, performed the statistical analysis, interpreted the data, and drafted the manuscript. AM participated in the design and coordination of the study, interpreted the data, and drafted the manuscript. KS participated in the design and coordination of the study, and helped to interpret the data and draft the manuscript. All authors read and approved the final manuscript. The authors did not receive funding to support this research. Ethics approval for this research was issued by the Saint Mary’s University Research Ethics Board (SMU REB file number: 17-046).